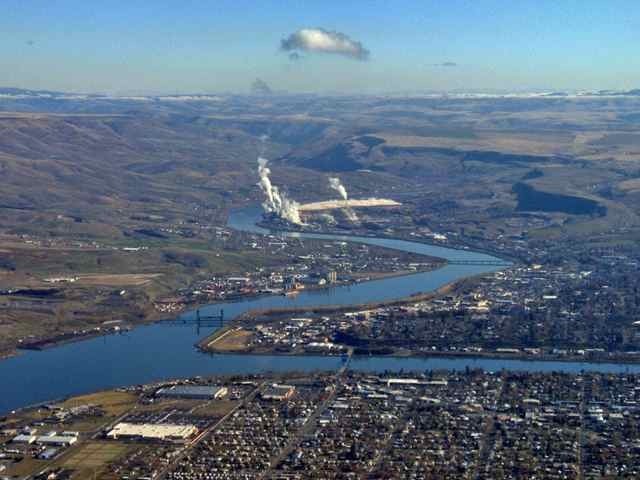 CLARKSTON, WA -- A large group is working to gain support from Idaho and Washington politicians to remove the four Lower Snake River dams. Supporters say it needs to happen to save killer whales that feed off Chinook salmon. Carol Zinke talked to Port of Clarkston Manager Wanda Keefer and has this report. It's called the Southern Residential Killer Whale Chinook Salmon Initiative. Supporters say whales in the Puget Sound are dying due to lower numbers of Salmon going into the ocean from the Lower Snake River. They're pushing a petition to get rid of the four Lower Snake River dams. "We want to see them thrive in the ocean," said Keefer. "There's no question that people in this region and throughout the world believe there's a benefit to the Orca whales. What is under question is the direct connection between dam removal and an increasing Orca whale population." Members of the Chinook Salmon Initiative write, "The most effective way to recover Snake River salmon according to hundreds of scientists is to breach the four Lower Snake River dams." But, we also found a report from salmonrecovery.gov that shows a growing number of Chinook in the river. There are a number of factors that play into this issue. One that's on Keefer's mind is the transportation of goods from the Inland Northwest to markets across the globe. "We are worried about the devastation that would be left behind with silting, lack of re-vegetation, dust, dead fish, narrower channels for people to even fish in," said Keefer. The four Lower Snake River dams provide five-percent of power to the Pacific Northwest. If the dams were destroyed, other sources of energy would need to replace it. Those would be either: one nuclear power plant, five coal fired power plants or ten co-generation facilities. Members of the Chinook Salmon Initiative group sent letters to representatives and senators in both Idaho and Washington, as well as President Obama, asking for their support to breach the Lower Snake River dams. Group Wants to Save Killer Whales by Removing the Lower Snake River Dams <-- Watch news story at original site.